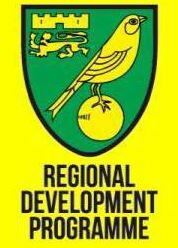 Find-Us-Keepers has been created to provide quality professional goalkeeping coaching to boys and girls from the age of 7 on wards fast becoming the most popular centre for coaching throughout the Cambridgeshire region with over 90 keepers being trained per week. Whether you are serious about your goalkeeping or a complete novice Find-Us-Keepers will be right for you. Come along to one of our sessions and be taught by our qualified coaches and start improving from your first day. Find-Us-Keepers are committed to improving each and every goalkeeper, week by week, using a variety of techniques within a fun and enjoyable environment. Find-Us-Keepers have produced boys and girls who have gone on to various levels in football from county to pro clubs such as ARSENAL, CHELSEA, LEICESTER CITY , MILTON KEYNES DONS, NORWICH CITY , NORTHAMPTON TOWN , PETERBOUROUGH UNITED ,CAMBRIDGE UNITED, DONCASTER BELLES FC and International with ENGLAND , WALES and AMERICAN COLLEGE SCHOLORSHIPS. As well as its weekly sessions FIND US KEEPERS were also involved in coaching CAMBRIDGE UNIVERSITY men's and women's teams during 4 winning seasons.
" My aim at FIND US KEEPERS is to help all my keepers improve and to play to the best of their ability. For me its seeing the improvements week after week with big smiles on their faces "
" If you work hard at something you enjoy, it's taught well , the sky is the limit."